"The Buenos Aires City Council took a positive step towards becoming a more sustainable city by approving legislation to create a public bicycle transport system. Replicating the Vélib system in Paris, which was awarded with the 2008 Sustainable Transport Award, the law establishes a city-wide bicycle rental system that also provides strategically-located bike stations. This law requiring ruling by the City Mayor, received the mayor’s support in less than a month, on January 8, 2008, Mauricio Macri, the Mayor of the City of Buenos Aires, signed the decree to create the Public Bicycle Transport System (TPB). "An origin-destination study will be made to estimate the demand in order to determine the routes, station locations and total bikes needed. Current conceptual design includes user registration in order to obtain a special ID that allows the user to rent a bicycle. The stations will have information facilities, as well as provisions for emergency assistance. The law indicates that the minimum requirements for the bicycles include uniform design, license plates, dynamo-run lights, bell, brakes, lock, basket or similar, helmet, and a city map. The project also includes the construction of bicycle paths to ensure users safety as well as new high quality public spaces. Bike-oriented signalization should also be put in place. "Even though the law encourages the city to give the operation of the system to a private concessionaire (at a minimum of five years), the government may obtain loans or ask the national government for resources to set up the system. ITDP will be providing technical assistance to the City of Buenos Aires to implement the 'Public Bicycle Transport System'. "The spirit of the law is to promote a healthy, low-cost and environmentally friendly transportation alternative for people who want to avoid the increasing traffic congestion. The government also recognizes the need to integrate bicycles into the public transportation system. Specifically, bicycles should be used to bring people to the mass transit system, including the subway, metropolitan train and buses. Therefore, secure bike parking and/or TPB stations is needed near other mass transit stops." With the City Council taking the step towards limiting congestion and improving air quality with bike-sharing in Buenos Aires, they are bringing "fair winds", the namesake of this city, back to the capital of Argentina. This also will likely be South America's first bike-sharing program. The following is from Waikato Times dated March 20 and includes the first bike-sharing programs in New Zealand. 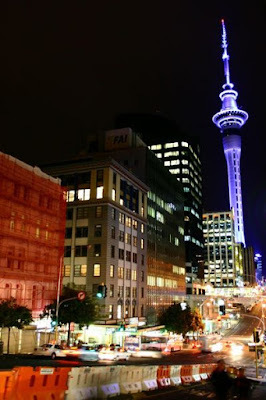 Welcome, Kiwis. The technology behind Goodgear, the New Zealand company managing this effort, is nextbike. A public bicycle scheme launched in Hamilton this week could come as timely relief for motorists feeling the pinch from soaring petrol prices. More than 40 bikes locked on racks at Waikato University, Garden Place, the transport centre on Anglesea St and on Hood St have been made available to the public. Bicycle company Goodgear is behind the move, which is being backed by the Hamilton City Council. People who have registered to use the bikes can call a number from their mobile phone, quote the number on the bike and it is released for their use. When the bike is returned, the rider calls the number again and the fee is charged to their credit card. The bikes cost $3 an hour or $15 for 24 hours. Goodgear director Julian Hulls said the scheme was also operating in Auckland, Tauranga, Mt Maunganui and Rotorua. "We're really very keen for this to be national," Mr Hulls said. "Clearly, we have to start with baby steps." The city council has provided the bike racks and is helping Goodgear promote the initiative. The council's cycle projects engineer, Philip King, and councillor Daphne Bell went for a spin on the bikes at the official launch in Garden Place on Tuesday. Cr Bell, a keen cyclist, said she hoped people got caught up in the rising popularity of pedal power. "We need some early adopters, some pioneers to lead the way," she said. 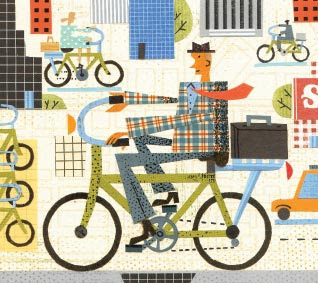 An article in the April Continental Airlines magazine, titled "This is How We Roll", talks about Washington, D.C.'s upcoming bike-sharing program and has some really great quotes from the many people with which the reporter spoke. D.C. is an ideal location for the U.S.'s first 3rd generation bike-sharing program. Yes, it's a big city which would provide a good example for other big- and medium-sized American cities. Yes, D.C. is becoming more bike-friendly with more miles of bike lanes and more bike parking. Yes, bike culture is growing in D.C. And yes, MetroBike is located here, so we would get to use the system daily. But there is another important reason that should not be overlooked. What is this fact?
" 'That fact, says DeMaio, is the U.S. capital is an ideal launching pad. 'We have Congress — the senators and the representatives and their staff who will be using these bikes every day will see how wonderful they are, and then they’ll want them back in their home states.' "
Let's call this bicycle osmosis. With the rise in popularity of bike-sharing has come the rise in misuse of the term. I see bike-sharing as bike transit which is available at unattended stations to the general public, usually in urban locations to complement the existing transit network. This is different from bike rental which is for recreational purposes and private-use programs, like those of universities, residences, and employment sites, which are used school, work, and recreational trips, respectively. Each are perfect for their own intended uses. There is also a gray area between a few of the branches. So here I present the "Phylogenetic Tree of Bicycle Use Programs" or more simply "Bike Use Programs Family Tree". 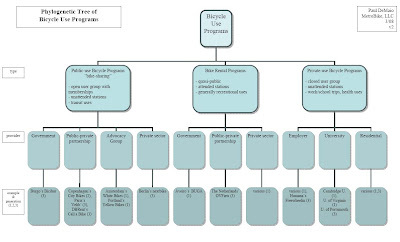 The tree is divided into types of programs, providers of these programs, and known examples of each with their level of sophistication defined by their generation. My goal with producing the Tree is to put governments, universities, residences, and organizations on the same page so we're using the same terminology. This can only be beneficial to the concept of bike-sharing. What are your thoughts? As this is a work in progress, do you have suggestions for clarification or improvement? Let me know. 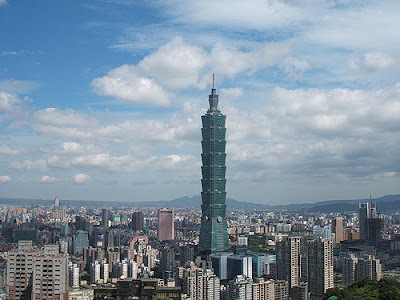 "The Taipei City Government will provide 500 bicycles for rent near MRT stations by the end of this year to encourage residents to take better advantage of public transportation, Taipei City's Transportation Department said yesterday. "In a test run of the city's "public bicycle rental system," a total of 500 bicycles will be arranged at 10 rental stops near the Taipei City Hall and Sun Yat-sen Memorial Hall MRT stations, said Chen Rong-ming (陳榮明) (sic), a division chief at the department. "Chen said that people will be able rent a bicycle at one rental stop and return it at another one and they may choose to pay the rental fee by cash, credit card or MRT EasyCard. "The department budgeted NT$12 million (US$300,000) to establish the system." This is an extraordinarily low cost of a bike-sharing program of which I'm familiar. As much of the world's bicycle frame and parts production is done in Taiwan, this would make providing the bikes less expensive than abroad. However, there was no mention of the technology they plan to use, so I'm curious about this. If cash may be used, maybe the stations will be attended. "Just hours after news outlets reported that oil prices have hit an all-time record high, at a rally for the National Bike Summit on Capitol Hill this morning, Congressman Earl Blumenauer and Dan Beard, Chief Administrative Officer of the U.S. House of Representatives, announced a new [employee] bike-sharing program. Dubbed 'Wheels4Wellness,' the new program will initially place 30 bikes at three locations around the U.S. House offices on Capitol Hill and will be available for free to the House’s 7,000 DC-based employees." "Beard says they hope to have the program in place by Earth Day (April 22) and that 'Plan B' would be to have it ready by National Bike Week (May 31st)." While not of Velib' size, it's an important start for the nation which will lead to bigger and better things, such as the 435 elected representatives and their staffs taking the concept with them back to their home jurisdictions. 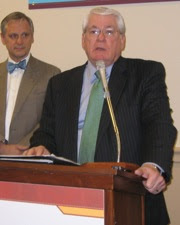 The audio of the House announcement can be found here.